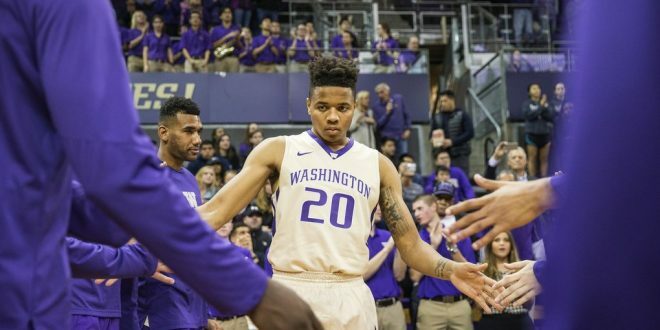 The inevitable has just become official as the Washington Huskies star, Markelle Fultz has officially declared himself for the NBA Draft this upcoming June earlier today. In case you haven’t heard about the freshman guard, Fultz is highly regarded as the player who will most likely be taken off the draft board first. The 6’4” point guard has led the underwhelming 9-22 Huskies, averaging 23.2-points, 5.9-assists, and 5.7-rebounds per game on the season. Drawing comparisons to the likes of a James Harden, Fultz is an athletic combo guard with phenomenal length, a lightning first step, and an elite skill-set. The NBA game is built for a guy like Fultz. He has great slashing ability, is agile, aggressive, and has great basketball senses and a good fooling for opposing defences. As a point guard, Fultz also comes in with good court vision, plus passing ability, and a willingness to defend. Reportedly, most draft experts have Fultz situated atop the mock draft, slightly edging out UCLA stud guard, Lonzo Ball. As per Chad Ford of ESPN.com: “Im a survey of a number of top NBA execs and scouts, Fultz still polled slightly ahead of Ball as the No. 1 pick. What’s keeping him ahead? He’s a more complete player and scorer than Ball and lacks any major holes in his game. In case you haven’t had the opportunity to check out the freshman prospect, check out one of his many highlight tapes!